By doing an eating patterns evaluation, and developing an awareness of the eating patterns in your life, you can begin to work on some Lifestyle Solutions for changing these eating patterns, and incorporating healthy diet habits in your life. If you fill out a daily food journal for several days, you will begin to see your patterns of eating. Please fill in your insights into your Journal Evaluation Worksheet. When your sheet is full, look at the areas that seem the most difficult for you. I would encourage everyone to pick three or four patterns to change at a time. Please watch the "All or Nothing Thinking", which would tell you to change everything right now. Work on a few patterns, and when you have mastered one, add a new one. Look at your journal and identify the patterns of food behavior that need to be changed. Record these insights in your journal evaluation worksheet. Choose 1 to 3 patterns that you would like to change this month. Decide what you will do to make these changes, and any help that you will need. Do you need to shop better, avoid the break room at work, chew gum while cooking to stop tasting, bring a healthy snack from home to end buying a snack from the vending machine, and bring a healthy snack to the movies? There are many patterns that you might need to change, but changing 3 patterns into a new habit each month is huge. See my list of 100 unhealthy diet habits that weigh you down. Write down the changes that you plan to make for one month and actually do them. If you make the changes continually for a month, then you can move on to the next pattern that you want to change. If not, keep working on that pattern. Many of our patterns are lifelong patterns. 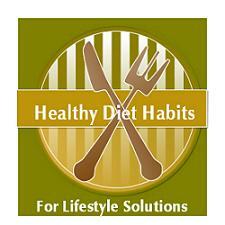 Doing an eating patterns evaluation, and changing your eating patterns is the key to making lifestyle changes. Diets give you a set plan for temporary changes, and never address your own eating patterns. When the diet is over, you revert back to your old patterns of eating, and gain the weight back. Please make these changes, and do not be fooled by the diet industry into purchasing the latest, greatest diet. Change your own eating patterns for lifelong success!